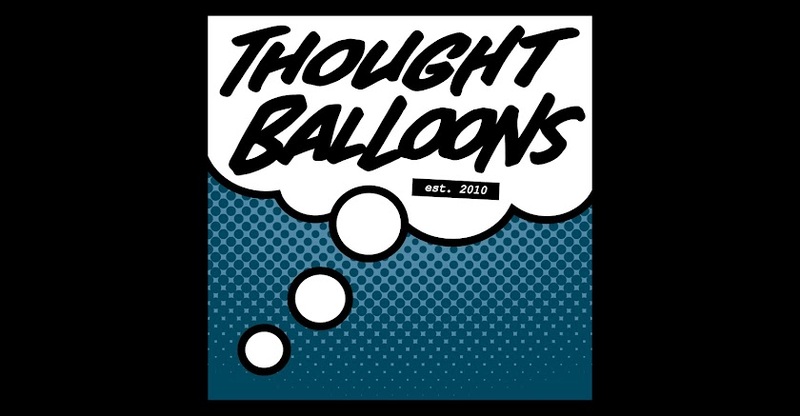 Thought Balloons - Creating Comics One Page At A Time: ...And We're Back! If you've found us again, welcome back. If you're here for the first time, we hope you enjoy your stay. There's all manner of story behind what's been happening these past two weeks, but the long and short of it is that we're back. The link you'll use to find us has changed, but the exciting and stimulating scripts you've come to expect will remain the same. We have not been idle these past few weeks. Among other things, you can see we've obtained a new banner to top our page (courtesy of a good friend of mine, the talented Nick O'Gorman). Beyond that, our immediate intention is to pick up where we left off, finishing up David Press' Jay Garrick Week before continuing with our regular scheduled programming. Of course, with a new url, not everyone will know where we've gotten off to. Therefore, if you could do us a favour and provide some signal boosting for the new TB.org, that would be grand. Hope you're excited for the return. I know we are.